From the Circles series. 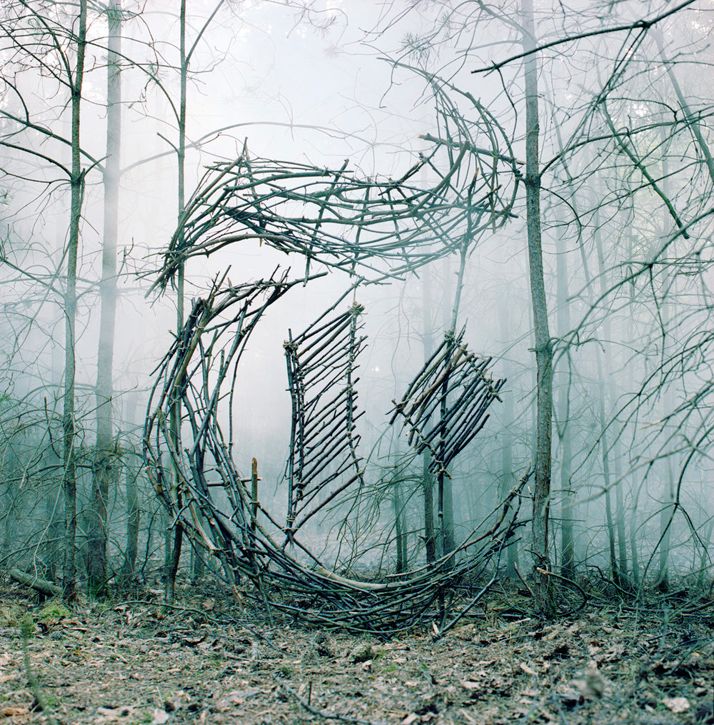 Photo © Nicola Yeoman. 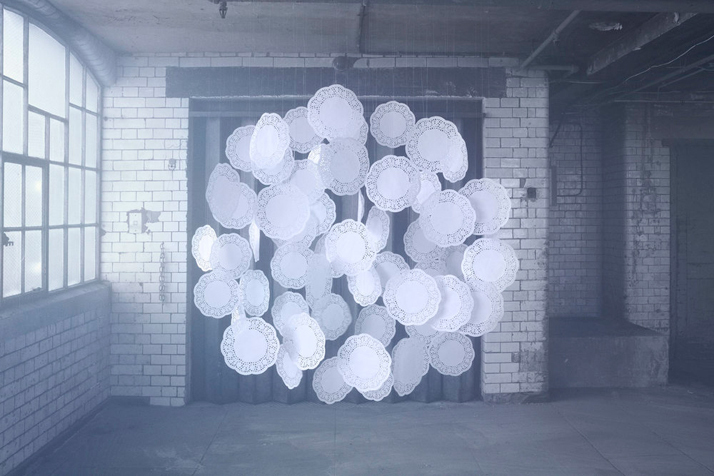 British set designer and visual artist Nicola Yeoman is particularly apt in playing with vantage points and light, creating temporary installations with everyday and discarded objects in unexpected locations. Her compelling sets and installations are utterly atmospheric, but what really sets them apart is the masterful combination of light and texture making her compositions appear flat and three-dimensional at the same time. 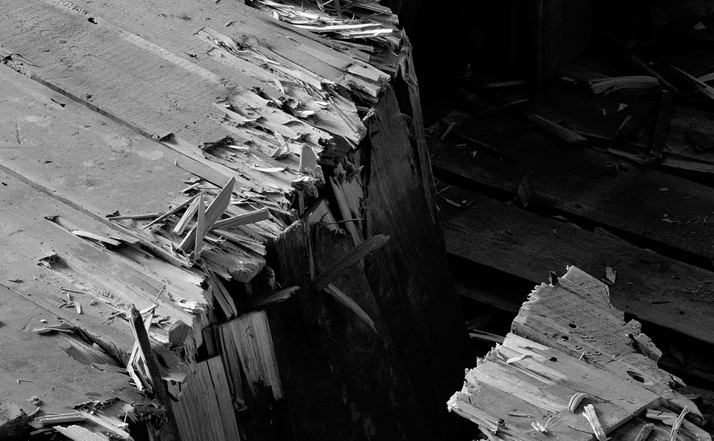 Letter D (detail), from the Alphabetical series. 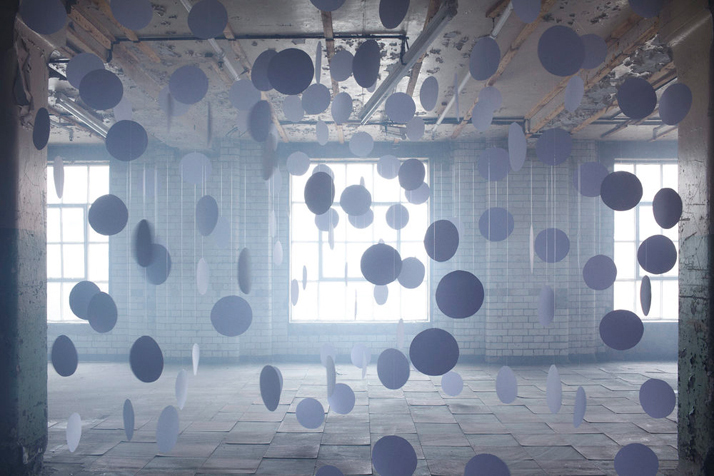 Set design by Nicola Yeomen. Photo by Dan Tobin Smith. Letter D, from the Alphabetical series. 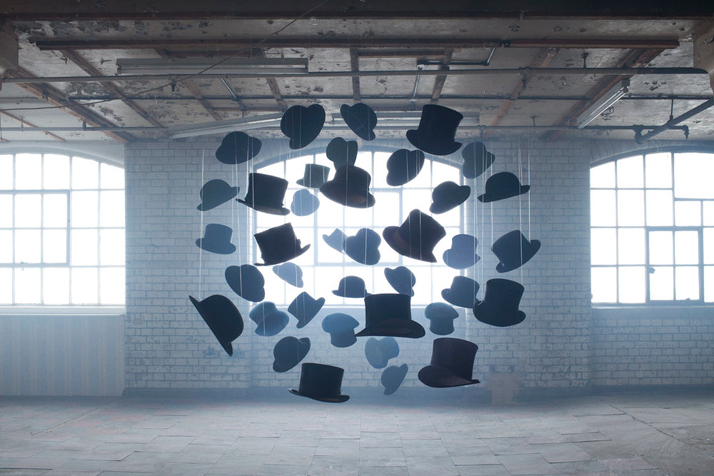 Set design by Nicola Yeomen. Photo by Dan Tobin Smith. 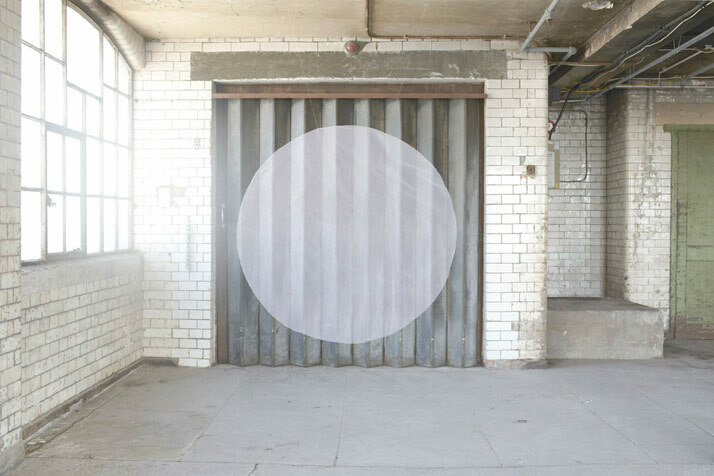 For her ‘Circles’ series, Yeoman created several temporary installations inside an apparently abandoned industrial space, all with the basic shape of the circle as a starting point. 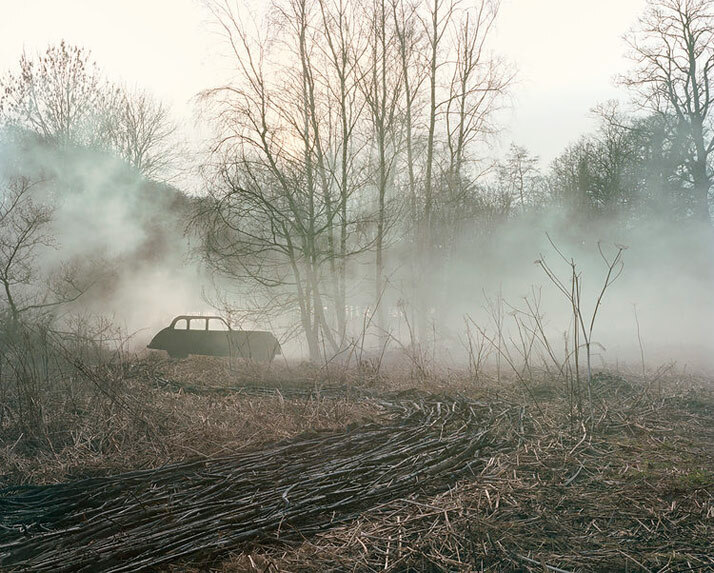 Subtle use of smoke and the way the light sets the mood in each picture makes the otherwise mundane objects appear otherworldly, or even with a life of their own. 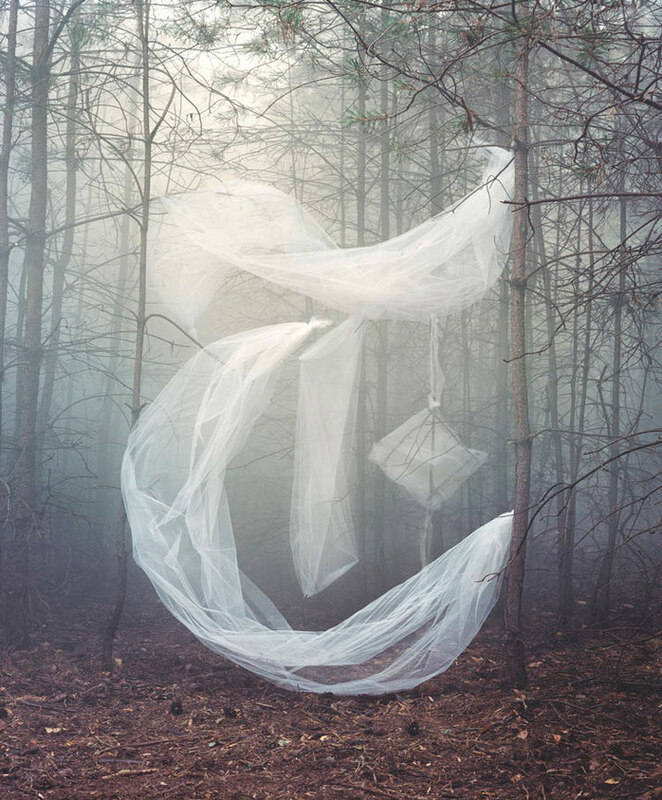 Of a more cinematic scale is Yeoman’s ‘And Then’ series, set in a misty forest where dream-like scenes occur like twisted images out of a fantasy novel. 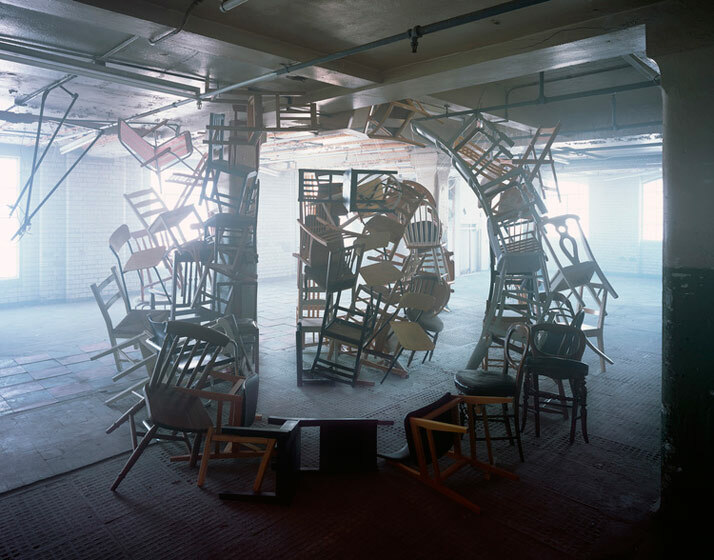 Yeoman has also produced a series of works called ‘Alphabetical’, which are again photographs of temporary installations: by sculpturally arranging objects such as chairs or dozens of scissors, she creates a visual illusion of the letter she wants to depict that is only visible from a specific angle. In the same vein, for the work she has produced for the New York Times, Yeoman recreated the historic newspaper’s logo using different materials and objects. 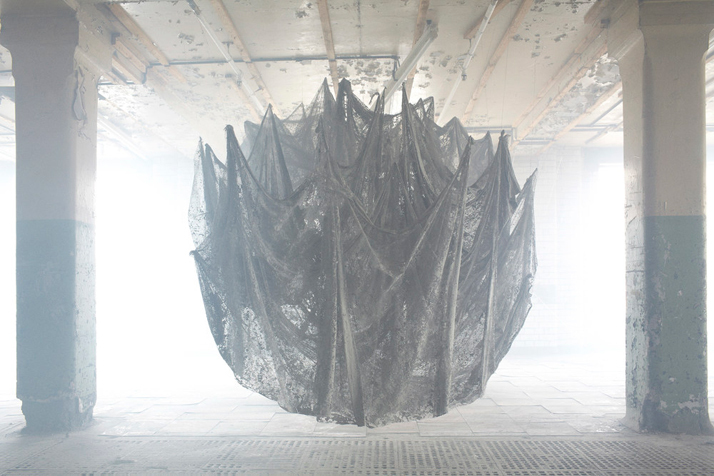 And Then.... (Formations), temporary installation by Nicola Yeoman. Photo by Jo Metson Scott. 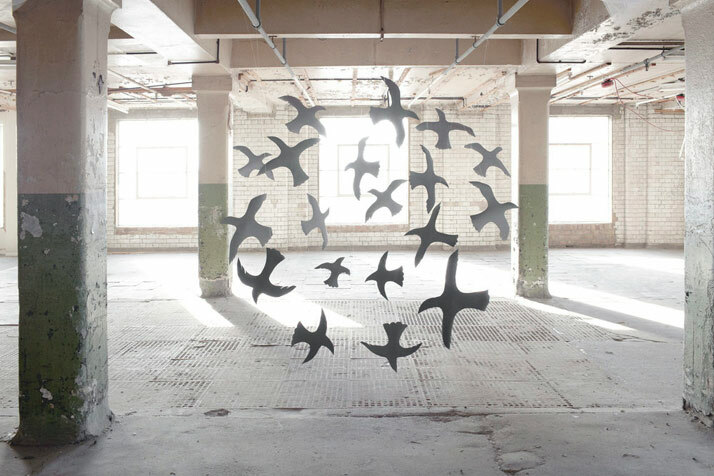 And Then.... (The Open Road), temporary installation by Nicola Yeoman. Photo by Jo Metson Scott. 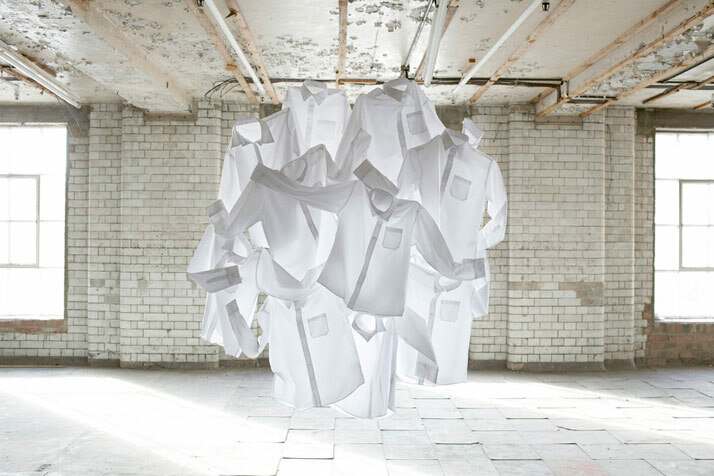 And Then.... (Famosa), temporary installation by Nicola Yeoman. Photo by Jo Metson Scott. Letter U, from the Alphabetical series. 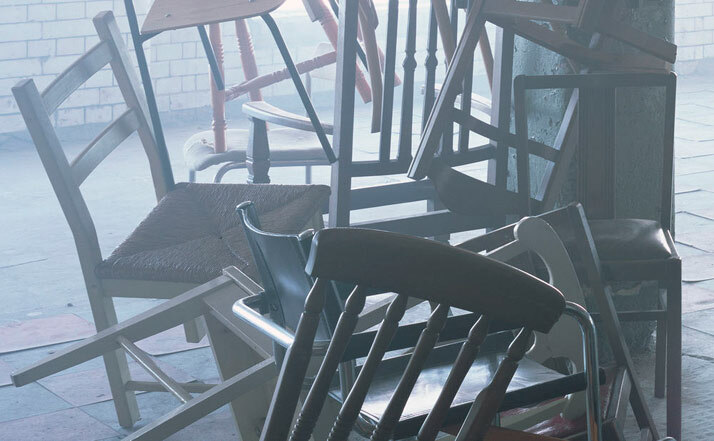 Set design by Nicola Yeomen. Photo by Dan Tobin Smith. 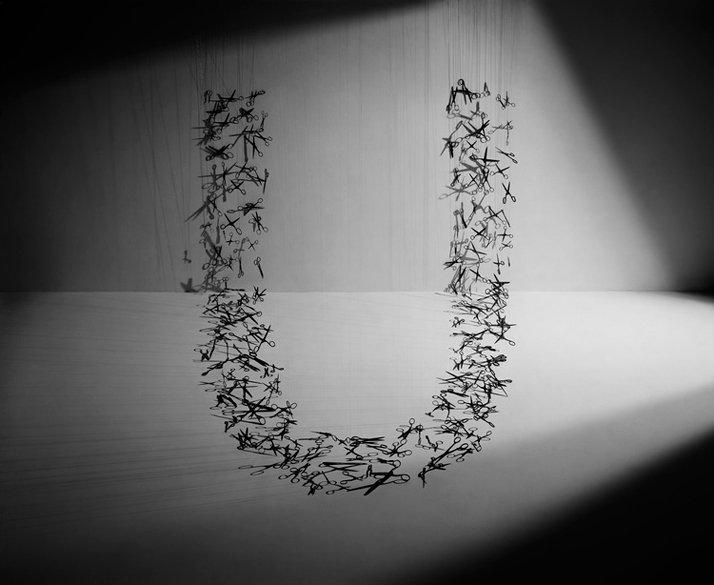 Letter U (detail), from the Alphabetical series. 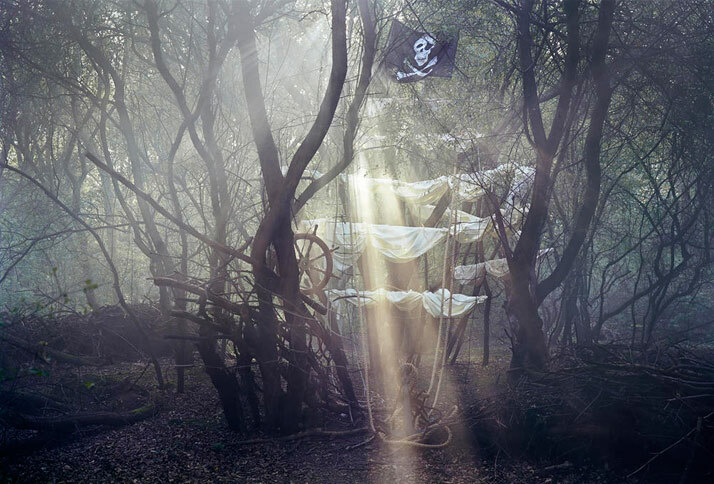 Set design by Nicola Yeomen. Photo by Dan Tobin Smith. New York Times 'T'. 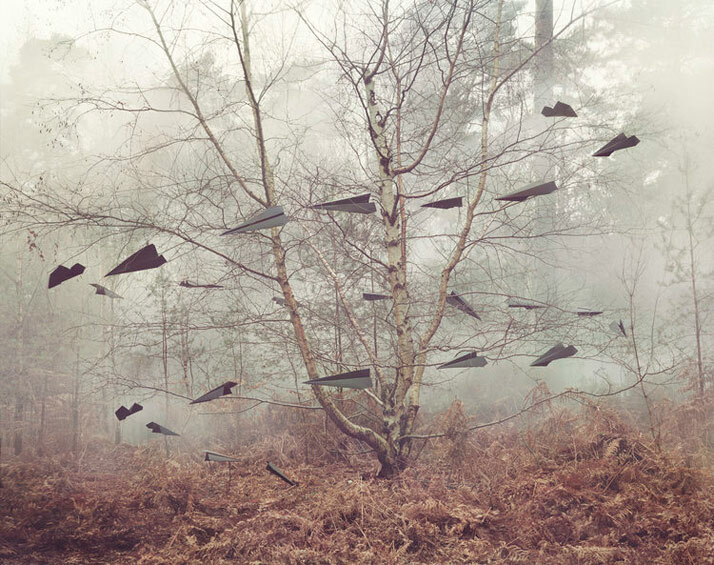 Photo © Nicola Yeoman. 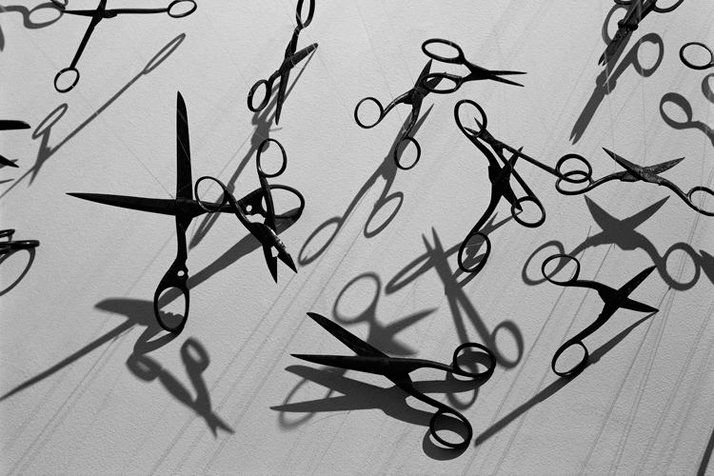 Letter X (detail), from the Alphabetical series. Set design by Nicola Yeomen. Photo by Dan Tobin Smith. 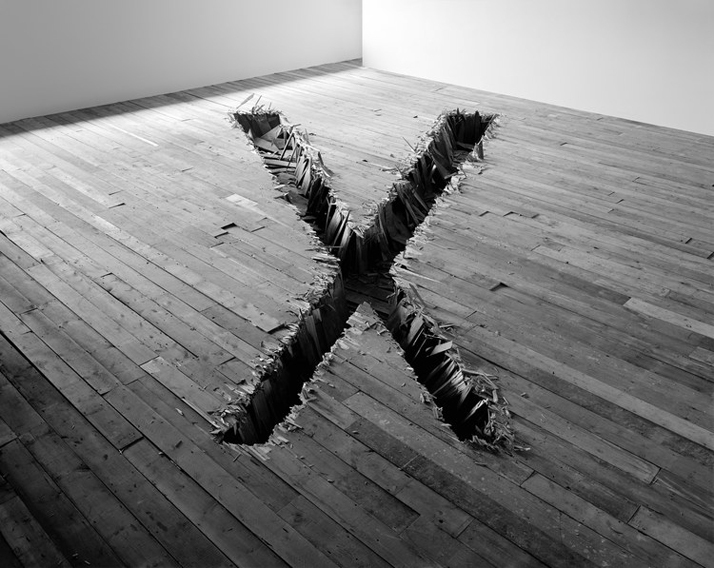 Letter X, from the Alphabetical series. Set design by Nicola Yeomen. Photo by Dan Tobin Smith.